This past weekend I had the chance to use my shiny new VFR/IFR checkout in the new Diamond DA40XL on an overnight cross country flight to Iowa with my family (minus the dogs). Get the details of the flight including lessons learned after the jump. Today I had my first flight and VFR portion of my checkout in N793US, a 2007 Diamond DA40 XL. I plan to post an in-depth review of the airplane after I complete my IFR checkout and do a XC flight back to Iowa next weekend. In advance of a more detailed write-up, I want to say that this was the most enjoyable flight in an airplane I have ever experienced!!! I’ve got time in various Cessna models, Piper models as well as a few others and this airplane was awesome to fly! 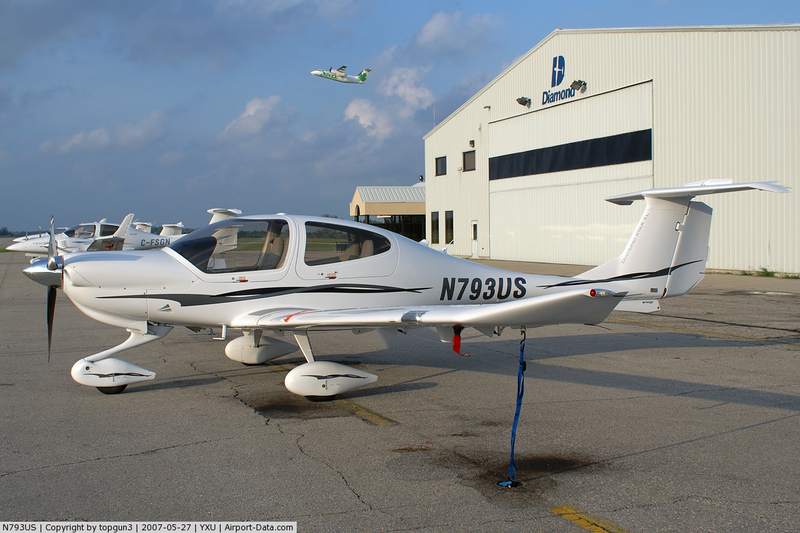 It is a very light weight and fast airplane that would be a good transition to some of the faster, and more complex singles out there — however, you won’t find better fuel efficiency! I hope KCAC has more of these planes on order because these composite airplane manufactures are on to something with their light weight, fuel efficient and technically advanced aircraft! Was so excited yesterday when I was looking around on the Diamond Aircraft site and discovered a local FBO (KCAC) had recently been selected as a Diamond distributor — Okay, so I was only moderately intrigued at this point; give me a second I’ll get to the good part…the rest of the story after the jump.